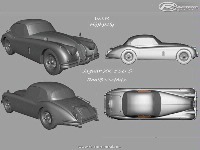 This is my first complete highpoly model of that beatifull car! I will do the lowpoly for the game from this and also the normalmap. I hope you like this car! i work for jaguar, so looking forward to this one, driving them is so much fun. Absolutely beautiful!! Good luck with this one! hi everyone I'm really sorry that I have not answer you before but I moved a lot in this last month. Now I'm in the US but soon I will be back in Italy to find a job in the videogames industry. Someone can help me??? I started the unwrap of the model and soon I will start texturing! I really love classic cars men!! It's a passion that my grandfather passed down to my father and after he passed it down to me! I'm wondering to start also a Volvo PV 544 Sport project but even if I love the Volvo (i'm the lucky owner of one of that beautiful car) I will wait until the jaguar will be on Rfactor's tracks!! Thank you all for your comment! I have just started an idea i hope to get started soon ,working on the first car now. 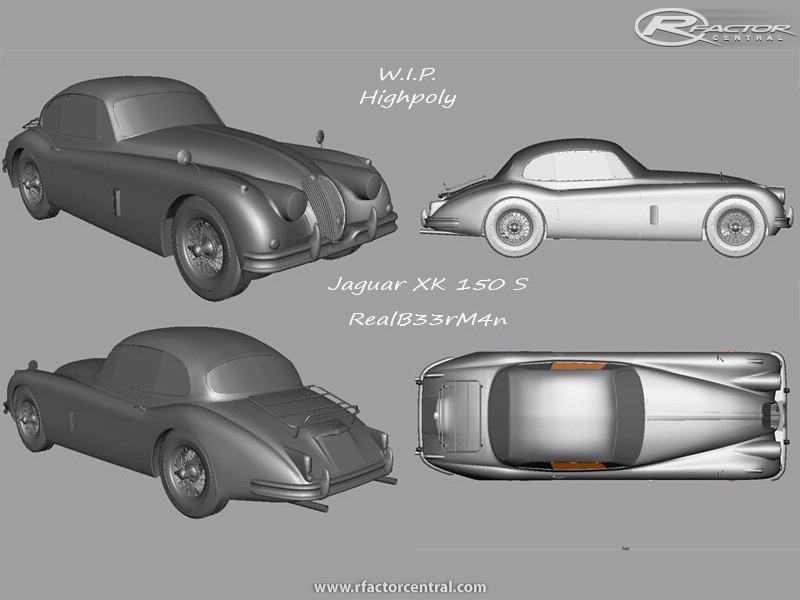 As its a marque cars mod and that Jaguar would fit in perfectly with the group of cars i was looking at . Keep up the good work those XK's are great to look at and even better to hear . One of the nicest cars Jaguar ever made and you have done it justice by the looks of it, I really look foward to driving it. If you'd like to contact us, feel free to send me a PM. At last...something completely different. I look forward to it.